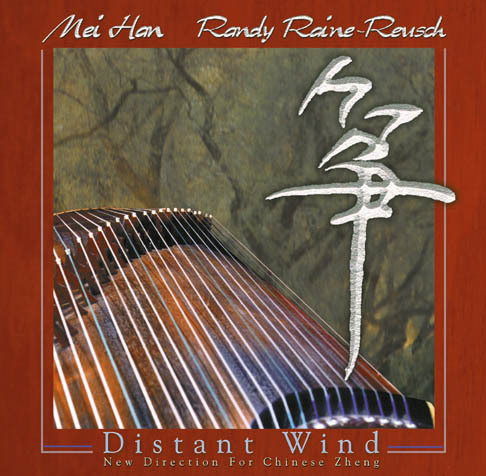 Performing powerfully evocative landmark compositions for the Chinese zheng, a 21 string long zither, Mei and Randys performances often feature a host of other rare and unique instruments to the contemporary stage. These include thesoulfully philosophical Japanese ichigenkin (1 string zither), the deeply esotericJapanese sho (bamboo mouth organ), the triumphant Thai Khaen (bamboo mouth organ), the plaintive Chinese bawu (free reed pipe), the hauntingly beautiful hulusi (free reed pipe) and the radiant dizi (transverse flute). Han Mei and Randy Raine-Reusch are transporting the zheng and other Asian traditional instruments well beyond the borders of Asia, from culturally specific instruments to seriousinstruments for the international stage. Recent performances include: Hanoi  Vietnam, WOMADelaide - Australia, National Ethnology Museum - Osaka, the Vancouver International Jazz Festival - Canada, theRainforest World Music Festival - Malaysia, WOMAD - Singapore, CHIME Conference on Asian Music - Prague, and the Awesome Africa Festival - Durban. With concerts ranging from new versions of traditional folk songs to modern sonic soundscapes, Han's sensual melodic style compliments and contrasts with the vigorous improvisations of Raine-Reusch. Their dynamic performances continuously invigorate, fascinate and amaze.